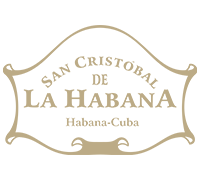 The original name of la Habana was San Cristobal de la Habana when it was founded in 1519. The brand was launched in 1999 to commemorate Habana’s long history. It first launched with 4 lines: El morro, La fuerza, La punta y El principe. The tobacco used comes from the Vuelta Abajo region. One of the best productions they’ve released is the tower shaped porcelain Jar of 25 cigars called Torreon. You will find it at the Montefortuna Online Cigar Boutique.